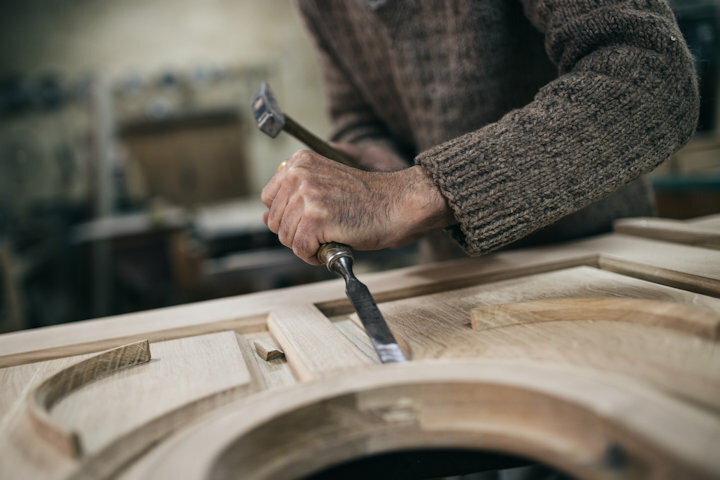 Whether you’re just starting out with woodworking or you’re a seasoned pro, wanting to learn some new tricks, woodworking classes are an invaluable resource. While there are a number of plans and books available for woodworking, being able to watch another person work gives you insight that’s hard to get from the written word. There’s just one problem… how are you supposed to find these classes in the first place? If you aren’t sure where to start when it comes to looking for woodworking classes in your area, here are a few ideas to help you along. Check your local library and anyplace else in your area that has a community events calendar or community board. A number of different classes and events can be found posted on these boards, and there’s a decent chance that any woodworking classes in your area will be posted there as well. You may even be able to post your own notice, asking for information about local classes and giving an email address where others can contact you. If there are woodworking clubs or other interest groups in your area, it’s likely that they’ll have classes or periodic workshops where you can learn new skills. Even if they don’t, someone at the meetings will likely be able to point you in the right direction for local classes. If you aren’t sure where to find woodworking clubs or interest groups in your area, check community boards, perform online searches or check with colleges or vocational schools in your area to see if there are any clubs available that allow community membership. Many hobby stores and woodworking specialty stores hold classes as a means of engaging the community (and creating more interest in the hobby and woodworking supplies they sell.) These classes are often advertised in-store, but you may also be able to find information about them online. As with other resources, even if there aren’t classes offered in the store itself there may be employees who know where you could find classes in your local area. While maker spaces are not limited to woodworkers, many of them do have a decent number of woodworkers who work on and display projects there. As a result, there may be classes available at your local maker space if you have any in your area. If there aren’t any classes set up there yet, you could also talk to other woodworkers and see if any of them were interested in perhaps doing demonstrations or classes for others to learn from. There may even be enough interest that multiple woodworkers rotate out who’s going to teach each meeting. If you can’t find any woodworking classes in your area despite your best efforts, you may be able to get private instruction from other more experienced woodworkers. Some will advertise that they offer woodworking instruction, while others may be open to the idea if you ask. Just be sure to be polite if you ask others about teaching you and don’t get discouraged if someone says that they aren’t interested in offering lessons. Provided that you ask around politely, you’ll very likely find someone who’s willing to give you at least some instruction. If you’ve exhausted all other avenues, you can always look for videos and other courses online. Websites like YouTube have a wide range of woodworking topics covered on video for people wanting to learn, and a number of tutorial sites have full courses offered with video and downloadable plans. Some of these courses bear a cost, but many of the sites offering them have frequent sales to help you save. Have you participated in any woodworking training, either to learn or teach others?